About – Santa Jack, at your service! Jack has a passion for children, Christmas and Santa Claus. He has three children, two step-children and three grandchildren. 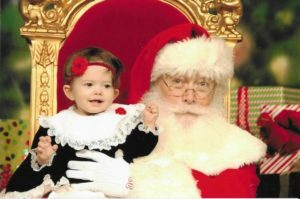 The Lane report called him, "A highly credible real bearded Santa." 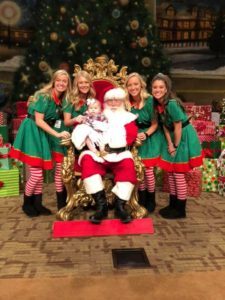 Tops Magazine said "Pattie has spent a small fortune on his Santa wardrobe and it pays dividends for the kids who hop up on the lap of one authentic-looking Santa." Jack Pattie played Santa in a Christmas play in elementary school. It must have made an impact. In 2006 he was cast as Kris Kringle in the Woodford Theater's production of "Miracle on 34th Street". This is an excerpt from a review in the Lexington Herald Leader: Pattie's Kringle is light, joyous, quick-witted, meddling, wise and even spry. He is so delightful and compelling that one is tempted to believe he really is Santa Claus. If only the playbill didn't say otherwise. 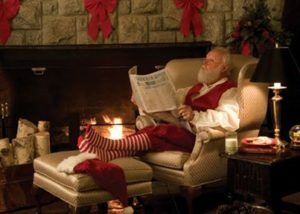 Kentucky Living Magazine said, "Over the years, Pattie has helped governors light trees, played Kris Kringle in "Miracle on 34th Street" and had his image replicated on greeting cards." Meet Radio / TV Veteran Jack Pattie! Jack began his radio career when he was still in high school. in 2006, after many years doing the morning show on WVLK in Lexington, Pattie was inducted into the Kentucky Broadcaster's Hall of Fame. He was also awarded the coveted "Kentucky MIC" award. 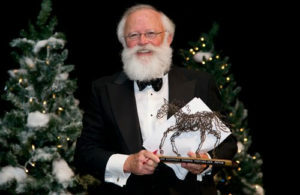 Because of Jack's work promoting Kentucky tourism, he received the "Kentucky Tourism Partner Award" presented by the Kentucky Department of Tourism in 2011. In 2007, Santa Jack was featured in a series of greeting cards for Wall Street Greetings. For one of those cards, he was nominated for a "Louie". The equivalent of an "Oscar" or "Emmy" for the greeting card industry. Jack has portrayed Santa for U.S. Senator Rand Paul and U.S. Congressman Andy Barr. He has also worked with actors Richard Thomas and John O'Hurley, as well as comedians Gilbert Gottfried and Tom Arnold.